The FWQA is a Trade Association that strives to promote the increased use of industry products and services; inform FWQA Members about conditions/actions affecting the industry; represent the industry through contacts with Government agencies, organizations and the public; foster and maintain the professional competency of water treatment professionals; gather, analyze, publish and disseminate to the industry, government, and the public, information relevant to the industry; advance truthful advertising of industry products and ethical business practices; and engage in any lawful activity which will enhance the welfare of the industry and the Members of FWQA. 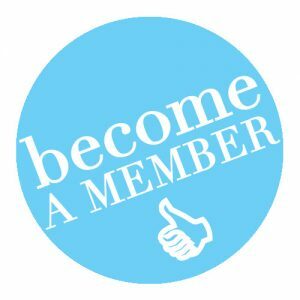 Membership dues are only $150/year, which entitles you and your company to substantial discounts when attending our fall education seminar and our annual convention and trade show. The Benefits of FWQA Membership are Numerous! Protection of your right to do business without onerous over-regulation by state and local government entities. We keep a close eye on Tallahassee! Regular education and training on a variety of technical and management topics. Lead generation for member dealers through our consumer-friendly FWQA web site. Annual convention and trade show highlighting the newest technologies along with plentiful networking and social activities. Please consider making a donation to FWQA. FWQA is a Trade Association that strives to promote the increased use of industry products and services; inform FWQA Members about conditions/actions affecting the industry; represent the industry through contacts with Government agencies, organizations and the public; foster and maintain the professional competency of water treatment professionals; gather, analyze, publish and disseminate to the industry, government, and the public, information relevant to the industry; advance truthful advertising of industry products and ethical business practices; and engage in any lawful activity which will enhance the welfare of the industry and the Members of FWQA.